Who would have thought that a band that’s been around since 1970, gone through numerous personnel changes (with every album), breakups, reconfigurations and reunions, would come back with an album 44 years after their debut that is arguably the strongest studio album of their career? North Star features pretty much the same lineup that played on the Live Atmosphere album a couple years ago, with the exception of guitarist Kirby Gregory (who played with the band on their Air Cut LP) replacing the exiting Kit Morgan. Original members include singer Sonja Kristina (it wouldn’t be Curved Air without her!) and drummer Florian Pilkington-Miksa, and rounding out the band are violinist Paul Sax, Chris Harris on bass, and Robert Norton on keyboards. The fourteen cuts are split evenly between seven brand new songs, the remainder being re-interpretations of earlier material and a few select cover tunes, noteworthy among the latter is album closer “Across the Universe” originally from The Beatles swansong Let It Be, and a re-envisioned version of The Police’s “Spirits in the Material World” – in both cases Curved Air makes these songs their own. 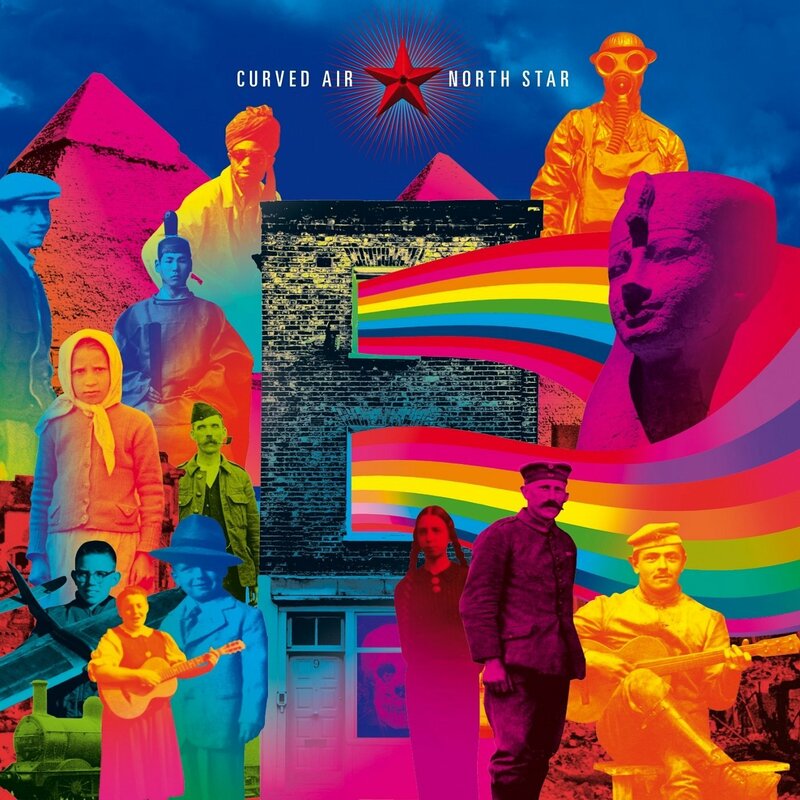 The disc launches on fire with “Stay Human” and “Time Games,” two exceptionally solid new tunes that bring out the best in everybody in the band, unmistakably Curved Air from the very first note. This is followed by a more folky and gentle version of “Puppets,” the side one closer from Second Album. Four more new original songs follow, none short of excellent, then we are re-introduced to “Colder Than a Rose in Snow,” a reworking of a tune from Kristina’s eponymous 1980 solo album. Also noteworthy among the remaining cuts is a reworking of “Situations” (from the Airconditioning LP) that presents the tune in an entirely new light, perhaps topping the original version. Curved Air have always had a unique sound among progressive rock bands, comparable to no others, driven by Sonja’s voice and the ever-present violin, and that is maintained throughout North Star. Without reservation, I believe this may be the band’s strongest studio effort to date, or at least on par with the first two albums.